Austin Energy operates a network of electric vehicle charging stations powered by renewable energy through our GreenChoice® program. View the list of charging stations, locations, and more. Go to http://austinenergy.com/go/greenchoice and http://austinenergy.com/wps/portal/ae/green-power/plug-in-austin/plug-in-austin to learn more. This map product is for informational purposes. Although we strive to provide the best data we can, we sometimes use data developed by sources outside of Austin Energy. Therefore, Austin Energy cannot accept any responsibility for any errors, omissions, or positional accuracy, and therefore, there are no warranties which accompany this product. Please be advised that multifamily, fleet and workplace charging stations may have restricted access. Austin Energy operates a network of electric vehicle charging stations powered by renewable energy through our GreenChoice® program. EV Drivers should use the Access Category column to determine if the station will be accessible to any EV driver. Most stations on the Plug-In EVerywhere Network are accessible to all EV drivers, but multifamily, education, fleet and workplace charging stations may have restricted access. View more information @ http://austinenergy.com/go/greenchoice and http://austinenergy.com/wps/portal/ae/green-power/plug-in-austin/plug-in-austin . Tags "charging network" ev "electric vehicles" "austin energy"
Austin Energy operates the Plug-In EVerywhere™ network of plug-in electric vehicle charging stations located at sites throughout the service territory. Some stations are located at City of Austin facilities. The Plug-In EVerywhere™ network is the first in the U.S. to be completely powered by renewable energy via the GreenChoice® program. The initial network of 113 stations successfully fulfills Austin's commitment to the ChargePoint America program that selected Austin as one of only nine metropolitan regions in the country to participate in the federal stimulus grant funded program. Austin Energy is now working with its customers to connect privately-owned stations at workplaces, multi-family residences, and retail outlets to the Plug-In Everywhere™ network. The public-access charging stations provide both Level 1 (110 volts) and Level 2 (220/240 volts) charging capability and are geographically distributed throughout Austin. They are available for use by anyone with a plug-in electric vehicle.  Austin Energy offers a $25 six-month subscription membership for unlimited charging at any public-access network location. Or, credit cards can be used for $2 per hour of plugging in. Tags ev "austin energy" "electric vehicles" "charging network"